Affordable and easy to use. Compatible with most modern tablets and smartphones. Attaches securely with 3M Command strips which provide truly hassle-free and damage-free setup and removal. Screw-in version also available for more heavy duty applications. 528 backers pledged $12,140 to help bring this project to life. Welcome to the Koala Mount Kickstarter Project! Our mission is to develop simple products that don't break the bank, do what they're supposed to do, and look good doing it. Visit our site at www.dockem.com to order your own today! 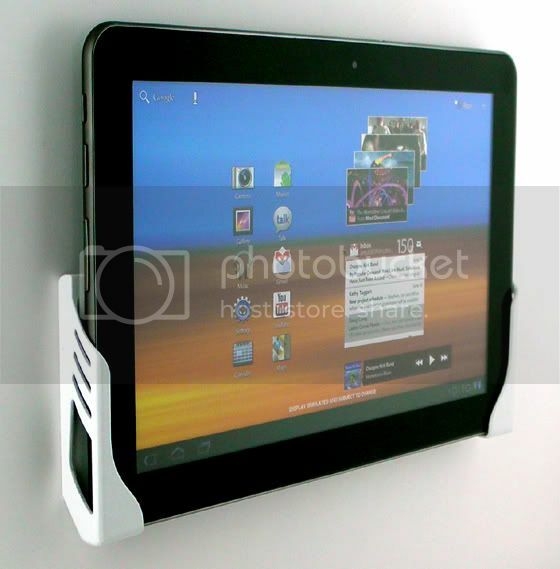 Simply put, the Koala Mount is the perfect wall mount designed specifically for the iPad 1 and the iPad 2. It's sleek, simple, and affordable. Simply add $5 per mount for metallic finish: see update #4 for more details. Strong Hold: The Koala Mount is attached to the wall using Large Command strips, which are rated to hold up to 5 pounds each. 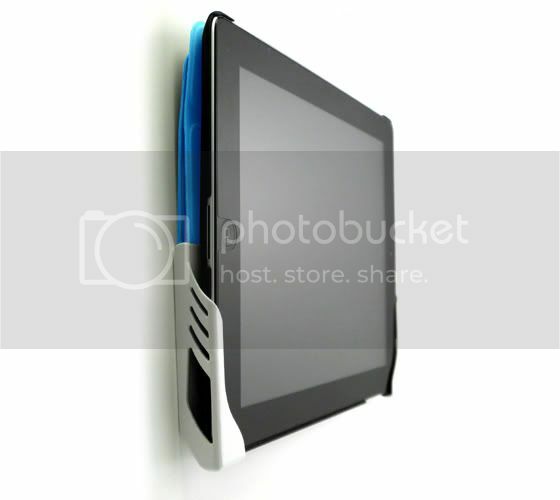 We've used them extensively with our Dockem Universal wall mount, so we can assure you they provide an exceptional hold. Simple Setup and Damage-free: The Command strips are incredibly easy to use, so setup takes all of 2 minutes. When it comes time to take down or move your Koala Mount, they can be removed damage free by simply stretching upwards. Replacement Adhesives: Replacement Command strips can be found globally at most local retailers or easily ordered online. 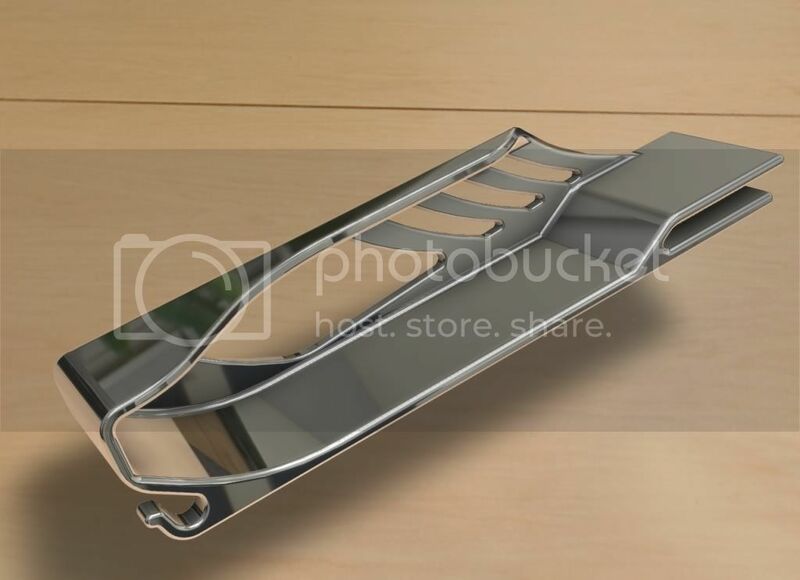 In addition, the Koala Mount is also compatible with Large Command Water Resistant Strips or Large Picture Hanging Strips, which offer slightly different features. The Fit: The Koala mount was designed specifically for the iPad 1 and the iPad 2. With the naked iPad 1, it's a perfectly snug fit, so your iPad will slide in easily but won't wiggle at all. The iPad 2 on the other hand has about 1mm of wiggle room at the top. In normal use, however, you won't even know the space exists. However, if you really want the snug fit, a common slim iPad case fills the space perfectly (we use the GreatShield Smart Cover Buddy). One Handed Use: The mount was designed to hold your iPad off the wall just enough to allow you to grip the top of it with just one hand. 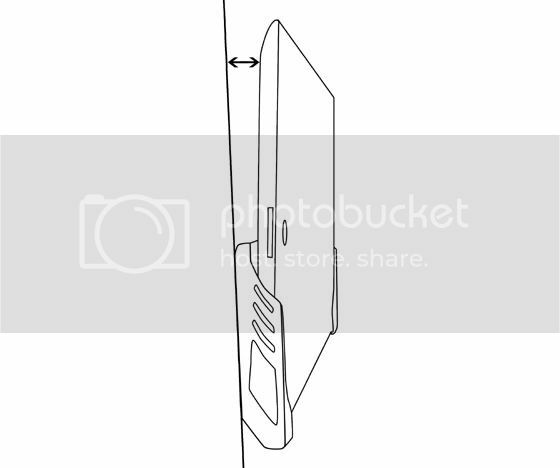 This means you can both dock and undock your iPad with just one hand. With the Smart Cover: The space left between the wall and the iPad 2 is also perfect for storing your Smart Cover, so you don't have to remove it in order to dock in the Koala Mount. 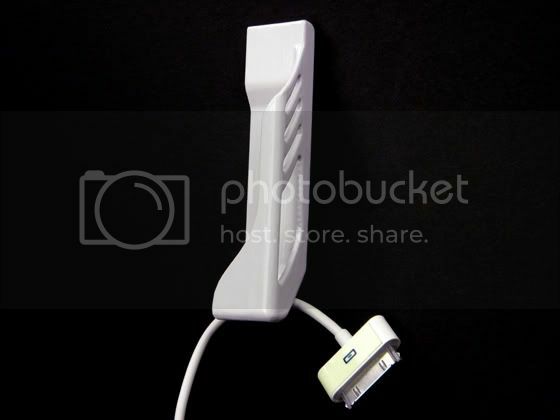 Cord Clip: A recessed cord clip at the bottom of each bracket helps keep track of your charging cord when not using the mount. Each clip is sized a little differently to provide either a tight or a loose fit on your cord, depending on your preference. 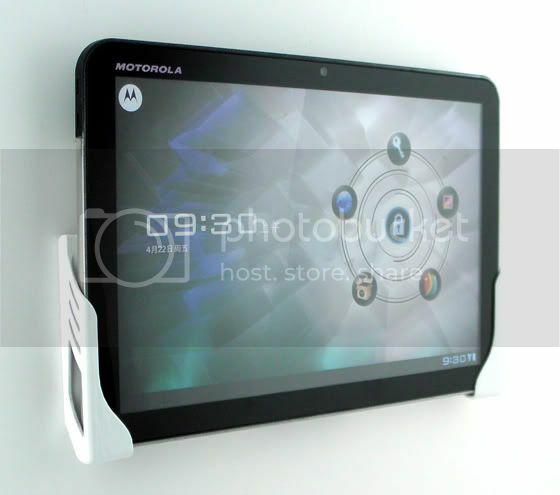 Compatibility with other Devices: While designed specifically for the iPads, the Koala Mount also ended up being compatible with other popular tablets due to their similarity. So far we've tested the Samsung Galaxy Tab 10.1 and the Motorola Xoom, but it's likely that there are others that would work. We're just two normal guys who launched our first product, the Dockem, here on Kickstarter about a year ago. We managed that launch while Chris was working a full-time job and Colby was just finishing his Master's degree. Since then, we've both decided to fully devote ourselves to pursuing our entrepreneurial dreams. We're incredibly excited for this new product and we're attending numerous trade shows over the next few months, including the International CES in Las Vegas this January. We've come a long way since the Dockem launched in January 2011, only thanks to awesome people like you who've believed in us along the way! In order to be produced efficiently, the Koala Mount needs to be injection molded. The problem with injection molding is that it has a very high initial setup cost. So, by pre-ordering here you're not only confirming that our product is something that people actually want, but you're also helping to offset the cost of that initial tooling. The Koala Mount: Check out the different reward levels to the right for your options. 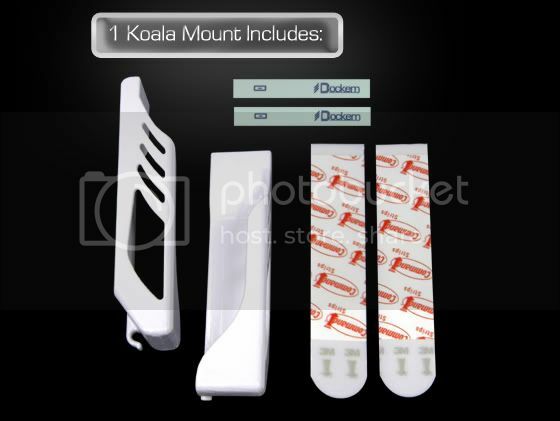 No matter what reward level you choose, each Koala Mount ordered will come with the 2 brackets made from white ABS plastic, 2 glow stickers, and 2 Large Command strips. Glow Stickers: Every Koala Mount comes with two of our Glow Stickers, designed to fit perfectly on the Apple charging cord. These are great for pairing with your mount so that you can always locate it, even in the dark. If you prefer, they're also great for attaching directly to the Koala Mount. Shipping: Every Koala Mount comes with free shipping within the US. International shipping add $2 per mount. Ordering additional Mounts or Stickers: At every level (except the $5 level), you can order extra Koala Mounts by simply adding $10 to your pledge. There's no limit to the number you can order (e.g. add $30 for 3 extra Koala Mounts). Similarly, you can add $0.50 for additional Glow Stickers. If funding is successful, we'll send out a survey asking what you intended to order, so all you have to do at this point is add the appropriate amount to your pledge. Please note that no matter your backer level, you can make changes and add to your pledge at any time. Click here to download our full resolution photos. We appreciate any coverage and feel free to contact us with any questions! Special thanks to Jon Strunk for his continual Engineering Support! The Koala Mount is currently Patent Pending. Apple is a registered trademark of Apple Inc and Command is a registered trademark of 3M. No endorsement implied. 5 glow in the dark cord-finder stickers designed specifically for the iPhone/iPad charging cords. Add $0.50 per additional sticker. Shipping included. Free shipping within the US, International add $1. EARLY BIRD: Pre-order your very own Koala Mount. If you are one of these lucky 500, feel free to order additional mounts by adding $10 for each additional desired. (e.g. pledge $30 to get 3 Koala Mounts). Free shipping within the US, International please add $2 per mount. 1 KOALA MOUNT: Pledge here to pre-order your own Koala Mount. For additional mounts simply add $10 to your pledge. Free shipping within the US, International please add $2 per mount. 5 PACK: Yes, the Koala Mount will make a great gift. Pre-order 5 and it doesn't matter if you weren't an Early Bird. For additional mounts simply add $10 to your pledge. Free shipping within the US, International please add $2 per mount. 10 Pack: Yes, the Koala Mount will make a great gift. Pre-order 10 for the best deal. For additional mounts simply add $9 to your pledge. Free shipping within the US, International please add $2 per mount.